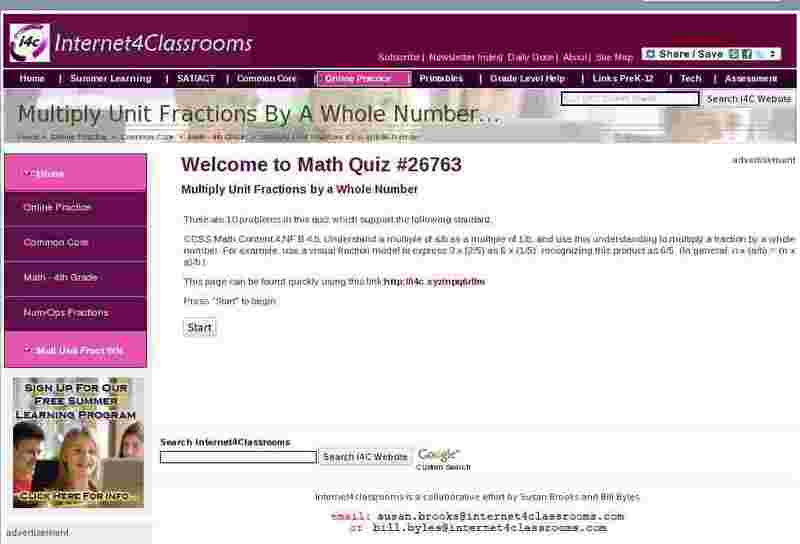 CCSS.Math.Content.4.NF.B.4.b. Understand a multiple of a/b as a multiple of 1/b, and use this understanding to multiply a fraction by a whole number. For example, use a visual fraction model to express 3 x (2/5) as 6 x (1/5), recognizing this product as 6/5. (In general, n x (a/b) = (n x a)/b. ).